A new customer this week was looking for a plumber in Camberwell and contacted Newman Plumbing. They were experiencing flooding at the rear of their period style home. The storm water drains were the old terracotta style that discharged to a council drain at the front of the home. The drains were completely blocked with a build up of silt and sand from a rear paving area and years of dirt washed down from the homes spouting and roof area. The stormwater drains were cleared with the latest technology drain cleaning equipment. 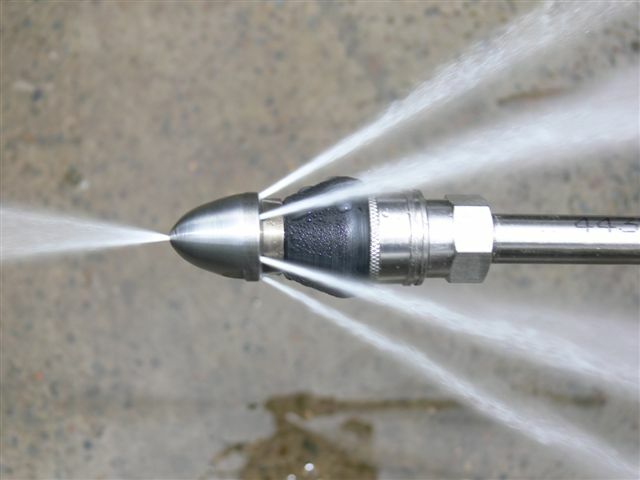 The powerful hydro water jet removed the build up of dirt in the drain. The storm water drains were flushed of dirt and leaves with the powerful water jet using an array of different nozzles. A further access point was obtained by the use of a drain camera and pipe locator. The old earthenware drain was quickly excavated and access was gained to clear the front section of the storm water drain through to the council drain in the nature strip. The powerful hydro jet with 4500 psi pressure, forward and rear facing jets cleared and flushed the drains. 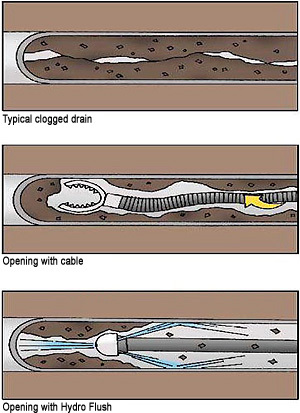 The condition of the drains could be checked with our drain camera. The drains were very old but still in good condition and an access point was raised to ground level for future maintenance. With this new access point at the front of the home, it will be easier to maintain the storm water drains in the future and also provide an overflow point in the case of heavy rain events.